This is a tale of two tales. The first half of this movie is compelling and emotionally engaging. It has a fantastic child performance and it says so many things about what is wrong with some aspects of the world that you will want to act after seeing some of it. The second half is anti-climactic for the most part. The extended story of our hero does not play out completely and it raises different issues that seem to be only tangentially related to what we started with. There is another solid performance as well, but it is overshadowed by the legacy of the younger version of our lead character. Young Sunny Pawar plays the hero of the story, a kid named Saroo, who gets separated from his family in one of the biggest and most populated countries in the world. The circumstances of his “disappearance” are accidental, but much of the trauma that follows is deliberate and frightening. He is a child of maybe five, several hundred miles from home, in which direction he has no idea, and the only name he knows his Mother by is Mum. The family was scratching out a living doing manual labor and pilfering small amounts of commodities that are unwatched. He ends up in Calcutta, a city teeming with people, many of whom are looking to exploit a child. We want authority figures and government agencies to be reliable, but as they appear here, it seems they are as much a part of the problem as some of the criminal element. There are some competent people who do finally end up helping Saroo connect with a different family in a country even further away. When Sunny Pawar is playing the character of Saroo, everything seems real and the stakes are so high as to keep us enthralled. 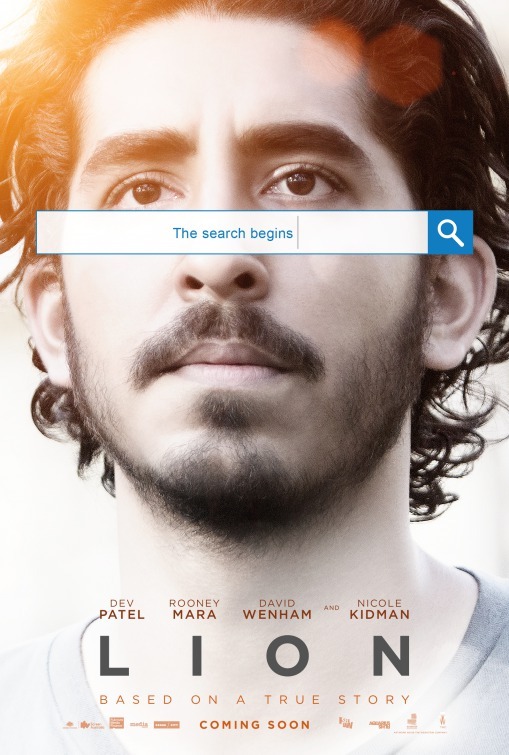 When a twenty year period goes by with a single title card, and Saroo is played by Dev Patel, the stakes seem so much lower and the emotions feel like they are straining for significance. Saroo’s identity crisis might have been a solid film if the movie had worked backwards. Instead it plays out like some psychological drama that would make an interesting hour on TV. The complicated relationship the adult Saroo has with his adopted family is told in the most bare bones way possible. There are cryptic references to his adopted brother’s drug use and emotional damage. Nicole Kidman as his adopted mother spends a lot of her time weeping for the problems of Mantosh, her second adopted child but Saroo never reaches out to either his mother or father for help in his crisis. They are the two most supportive parents you can imagine, and he is so wound up about his memories of his real brother and mother, that he can’t bother to ask for help. This section of the movie is so frustrating because we can’t figure out why he feels that way. Even when he has a supportive girlfriend to exchange exposition with. I know this is based on a true story. When the film ends and we get some clips and a scroll of the truth, it is very compelling. 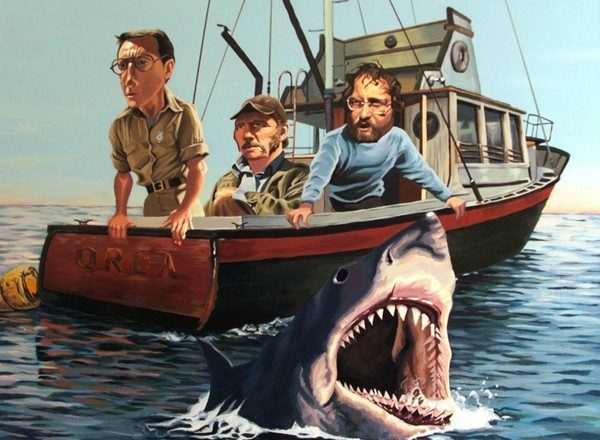 If the film had been a documentary, or the story structure were different, I think I’d have been really more impressed. As it is, I liked the movie a lot, but it depended on the resolution of the search to redeem a dull passage that takes up a big chunk of the film. I’ve heard award talk about Patel and Kidman, but if anyone in this movie deserves to be honored for their performance, it is a little boy from India who made us care in the first place.